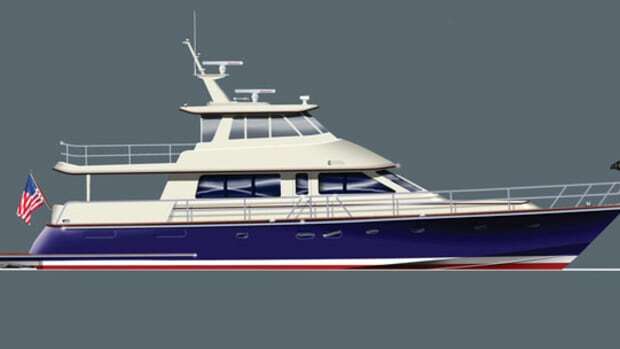 While C. Raymond Hunt Associates has developed projects of up to 100 feet and more, the Hunt 52 will be the largest yacht under the Hunt Yachts brand. 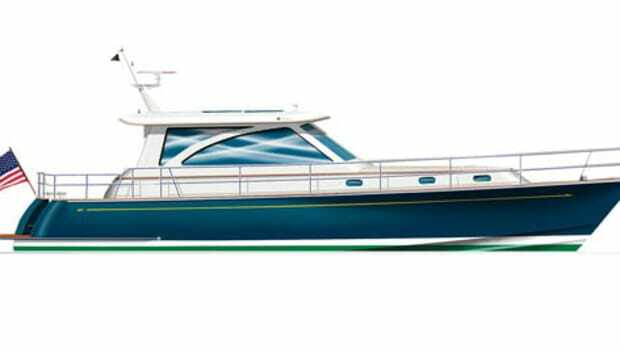 Half again as long as the current flagship Harrier 36, the 52 is nonetheless recognizable from the distinctive lines of her classic Ray Hunt-inspired deep-V hull, which is capped by a sweeping, unbroken sheerline. 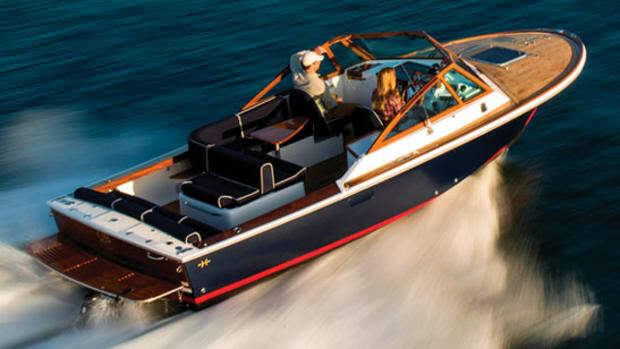 A classically styled deckhouse belies scintillating performance; with optional 1,000-hp C18 Cats, she&apos;s expected to deliver a 30-knot (34.5-mph) cruise and 38 knots (43.7 mph) on top. 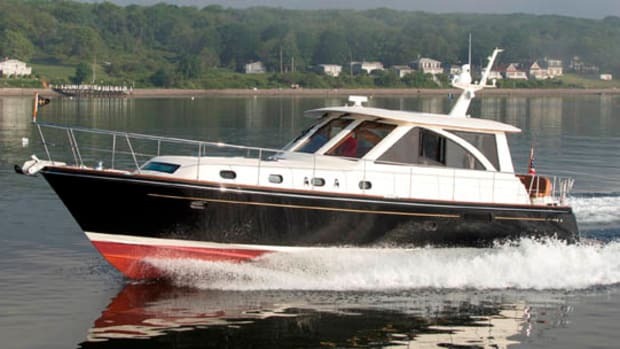 And with bloodlines that stem from the guy who wrote the book on offshore performance, she&apos;ll no doubt carry her speed comfortably and securely, even in heavy seas. 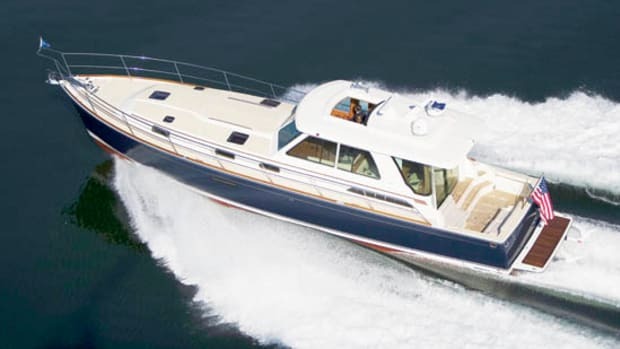 The 52 offers a plethora of other optional features, including joystick control of bow and stern thrusters and a mechanized dinghy garage. She can even be fitted with water jets in place of straight inboard drives. 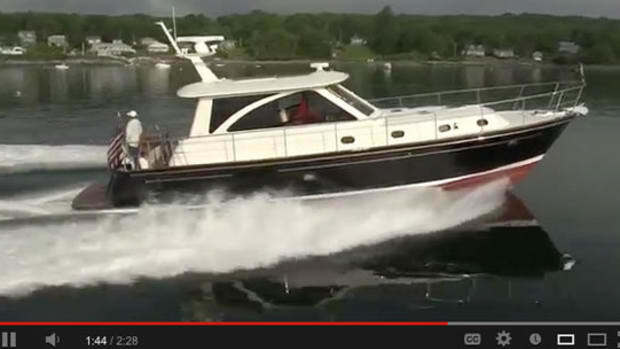 The 52&apos;s focal point is her roomy saloon. 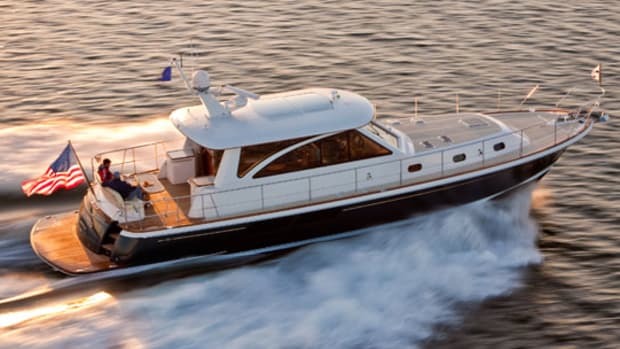 With big windows all around it offers 360-degree visibility from the helm station or from virtually any other seat in the house, including a double companion seat and a settee to port, and a comfy barrel chair aft of the wet bar on the starboard side. Two big sliding-glass doors open onto an alfresco area on the aft deck that&apos;s on the same level as the saloon, so guests can move from inside to outside without having to climb any steps. 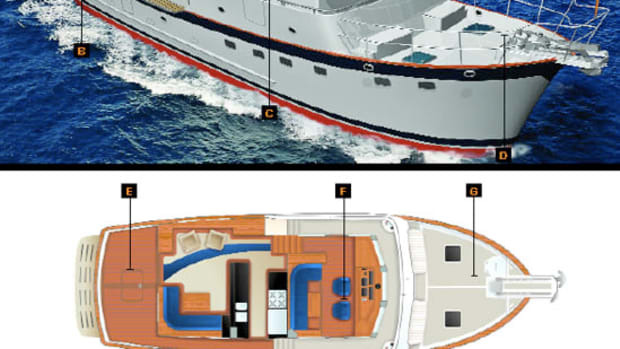 Her lower-deck layout hews to a less-is-more philosophy, offering two staterooms, two heads, and a nicely proportioned galley. Forward is a master stateroom with a centerline queen berth and an en suite head, while on the starboard side there&apos;s a guest stateroom with a settee that converts to a double berth. The stateroom has two wide sliding doors, so by day it can be opened up to serve as a sitting room directly across from the galley on the port side. The adjoining second head has a doorway from the stateroom, and a second doorway directly from the centerline hallway, so guests can use the facilities without entering either stateroom. 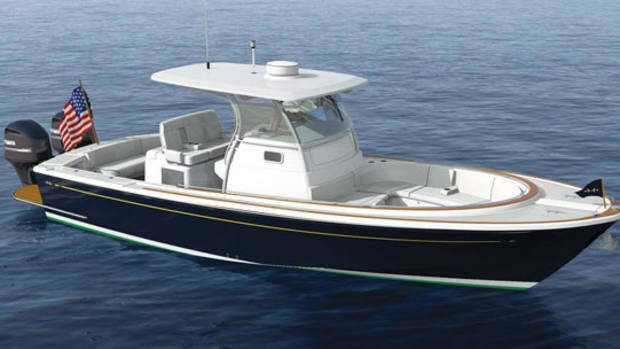 For more information on Hunt Yachts, including contact information, click here.